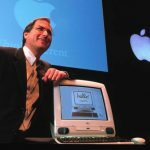 As the world digests the shock of Steve Jobs departing as Apple's iconic CEO and pontificates over stock prices and future leadership, we decided to take a look back at the innovations he oversaw -- both the flops and those that changed the world. No matter how you feel about the company or Jobs himself, it's impossible not to recognize the incredible turnaround Apple has seen in the past 10 years -- and the industry it has transformed in the process. Apple has consistently been at the forefront of innovation, design and culture, inspiring a generation to look at technology not as a tool, but as a way of life. Now that TiVo has unveiled its Series 4 platform of TiVo boxes, known as the Premiere and Premiere XL, the big question for existing users is: How do I upgrade? We cornered a few executives at the launch event in New York to get the answer. And no, your existing TiVo box will not receive the new user interface. In short, there are two separate upgrade paths. One for lifetime subscription customers and another for customers wanting to pay monthly. Why two different approaches? TiVo says its because each customer has different priorities. iPadBeta.com is a new free service that connects iPad, iPhone, and iPod Touch developers with beta testers for their Apps, offering the tools and help needed to easily run a great beta test. The aim is to help developers create Apps with less bugs, better reviews, and higher sales. App developers are each given their own private projects, which include bug and feature tracking, custom surveys, discussion forums, custom wikis, build distribution, tester participation monitoring, reporting, and other features. iPadBeta.com will also recruit App testers matching the developer's market; or they can invite their own friends and customers. Centercode is accepting applications for a new online game and world beta test. 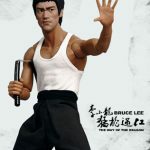 Inspired by a successful film franchise, and based on the timeless art of kung fu, the game is designed for the whole family. This new MMO includes character customization and the ability to battle others. Centercode notes that it is "an engaging and exciting environment with beautiful music, excellent scenery and fun yet challenging games." The next testing stage of this project will be conducted on: Wednesday February 3, 2010 - 3PM and 6PM PST (6PM to 9PM EST), however testing will continue over the next few weeks and even if you do not get into todays event, there will be many more opportunities to participate. Palm didn't have a radical new device to show off at CES 2010, but the company did unveil improvements to its Pre and Pixi models, giving both phones the "Plus" moniker. The upgrades will be coming to Verizon -- not Sprint -- on January 25, but pricing was not disclosed by the company. The Palm Pre Plus comes with double the internal memory of the original, bringing storage to 16GB. The "Home" button on the front of the device was removed, and comes standard with the induction charger. Pre fans looking to upgrade will be pleased with the improved keyboard on the Plus, along with a more snappy sliding mechanism. Its similarity to the Barnes & Noble Nook may have spurred a lawsuit, but that isn't stopping Spring Design from releasing its dual-screen e-reader to the public next month. 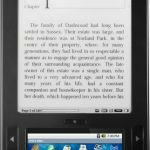 The Android-based e-reader bears a remarkable resemblance to the Nook, but has a larger bottom screen with full Web browsing and virtual keyboard capabilities. Alex also features a variety of connectivity options, including Wi-Fi, 3G GSM and EVDO/CDMA. But the device's $399 price point is $150 higher than its competitors, leading us to wonder how much traction it'll gain in the marketplace. Alex goes on sale February 22 from Spring Design's Web site. The TomTom Start, available in Europe, is now coming to the United States as the TomTom EASE, which will serve as the company's entry-level device. 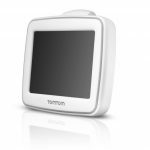 The EASE features a simple two-icon touch screen, text-to -speech capabilities for street names, and TomTom's Easy Port mount that makes it the most compact navigation device the company sells. In order to keep costs low, the screen is only 3.5-inches and the EASE includes maps for only the United States, so those driving to Canada or Mexico are out of luck. The EASE will be available soon in both black and white color options. Pricing was not announced. Ralph de la Vega, the CEO of AT&T Mobility (the company's wireless arm) announced at the AT&T Developer Summit in Palm Springs today that the carrier will be selling two phones running Palm's Linux-based webOS. De la Vega did not specify which devices from Palm AT&T will be carrying -- whether the Pre, Pixi or new models -- but he said they would come later this year. 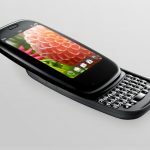 Palm's webOS phones will join multiple Android-based models from Dell, Motorola and HTC. AT&T has not said which Motorola or HTC phones it will sell, but it's a major step forward for AT&T, which has had exclusive rights to Apple's iPhone for the past two and a half years and has shied away from promoting other smartphone platforms. 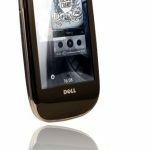 Dell's Mini 3 Android smartphone is coming to the United States via AT&T after the computer maker previously forged deals with China Mobile and Brazil's Claro. The Mini 3 sports a 3.5-inch touchscreen, 3G and Wi-Fi, and runs Google's Android operating system, although it's not clear which version. Pricing was not announced, although Dell says AT&T expects to make the phone available in the first half of 2010. With the HD format war two years gone, we're starting to see innovations in the Blu-ray space that are turning the high-definition DVD players into full-blown home media boxes. BD Live brought Netflix streaming, in September LG introduced on-demand movies through VUDU and the latest player from LG -- the BD590 -- includes a 250 GB hard drive. 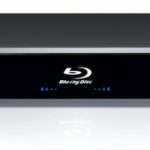 That means users can download and store movies, pictures and photos directly on the Blu-ray player. In addition, content can be copied to the BD590 over a home network from a PC. New partners for LG in 2010 include Picasa and AccuWeather. 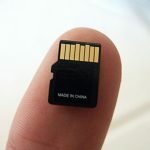 Joining Lady Gaga in the "strange news from CES 2010" department, Sony has unveiled a new line of SD/SDHC and microSD/microSDHC cards it will be selling in sizes ranging from 2GB to 32GB. The memory cards are rated Class 4 and will begin shipping later this month. Sony has long offered a rival memory card standard called Memory Stick, which has somewhat fractured the industry and given headaches to consumers. However, Sony says the launch of SD cards does not mean it is abandoning Memory Stick, which it still feels offers "a range of unique benefits." Rather, the company simply didn't want to miss out on selling a product most everyone needs these days, whether in digital cameras, cell phones or media players. 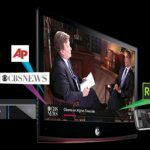 DivX has a long history of trying to reinvent itself and this year at CES 2010, the company is attempting yet another shift: becoming an Internet TV platform for the living room. DivX TV will stream online media content to any connected device, including TVs, Blu-ray players and game consoles without requiring a separate box. Instead, the platform will be embedded directly into the device. DivX TV content will come from the AP, blip.tv, Break, CNET, Dailymotion, Revision 3, TED, Twitter and more. The software will also be able to stream music from Rhapsody and Pandora, as well as display pictures from Picasa. 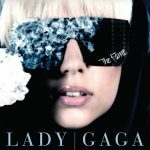 CES 2010 has only just got underway in Las Vegas, but the most bizarre news from the massive consumer electronics show is already here: Polaroid has signed a multi-year partnership with Lady Gaga in which the singer becomes creative director for a specialty line of Polaroid Imaging products. It's not clear what Lady Gaga will be actually designing for Polaroid, but chances are she will promote specially branded digital cameras in an attempt to make Polaroid more attractive to a younger generation. Nikon has long been selling cameras with the help of Ashton Kutcher, although it's unlikely the TV-turned-Twitter star has any input into Nikon's designs. If you ask Diebold, there is a such thing as bad press. 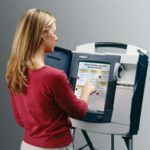 For years, the company has endured brand-eroding criticism about its electronic voting machines, and earlier this year in a hearing, publicly admitted they had serious design flaws. Now, the company can finally move on from its e-voting debacles, as it sold the business unit to competitor Election Systems & Software, Inc. for a mere $5 million. 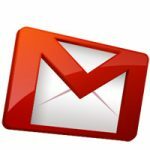 Has Google issued an apology about today's Gmail outage, or is the company trying to downplay the issue?